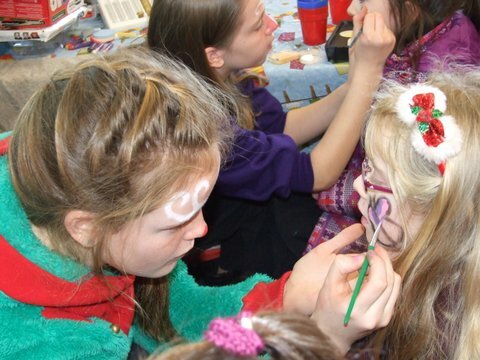 The school was awash with the festive colours on the last day before the holidays as we all dressed up and donated money to a children’s charity. Check out more festive photos here. 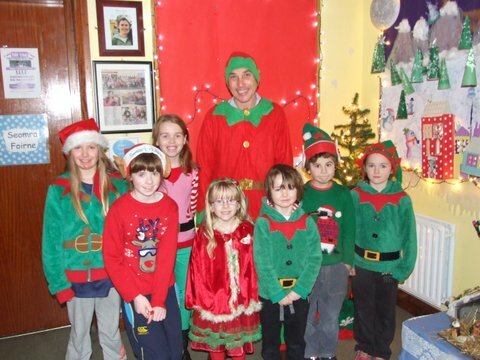 On Monday, December 21st, we welcomed a special visitor to Knockanean. 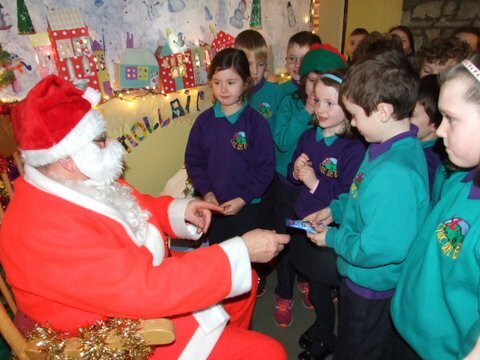 Mr. Claus took time out from his busy schedule to give treats to the boys and girls in Knockanean. See some photos here. 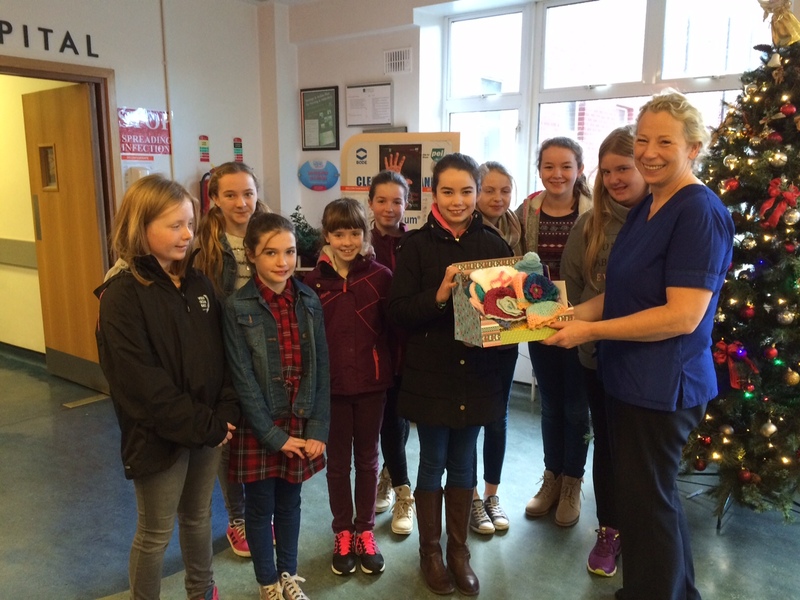 On Sunday, December 20th, some members of the crochet club presented their gift of baby hats to the nurses at the Maternity Hospital in Limerick. A big thank you to all the children, parents and grandparents who crocheted the beautiful baby hats and a big thank you also to Amy for coordinating the event. More photos here. 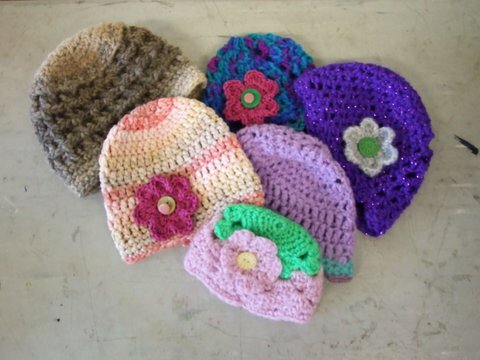 The crochet club have been very busy since September crocheting hats for the babies in the Neonatal Unit at the Maternity Hospital in Limerick. Click here to take a look at their fabulous work. On Friday December 11th, Fifth Class together with their teacher, organised a fun day fundraiser for the other classes to attend. It certainly was a fun filled Friday! Read more and see some photos here. 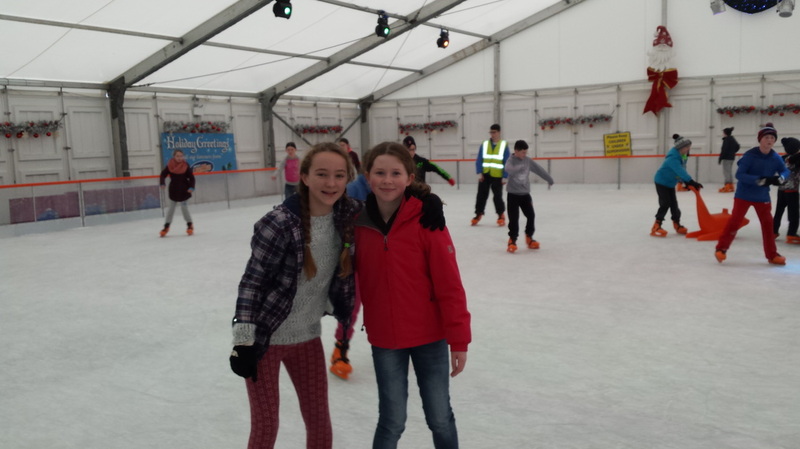 On December 9th, Sixth Class enjoyed an afternoon on the ice rink in Arthur’s Quay in Limerick. Read about a very enjoyable day out here. On December 8th, Sam, Conor and Thomas represented the school in the regional finals in Intel in Shannon with their project ‘Germ Shield’. Read more here.